Farm fields are not the only problem. 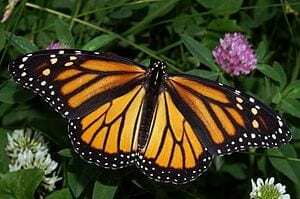 March 20, 2019 - The Biggest Spring Migration Of Monarch Butterflies In Years Is Passing Through Austin KUTThe annual return of the monarch butterfly is underway. They started showing up in Austin about a week ago, according to the crowdsourced online tracker at.